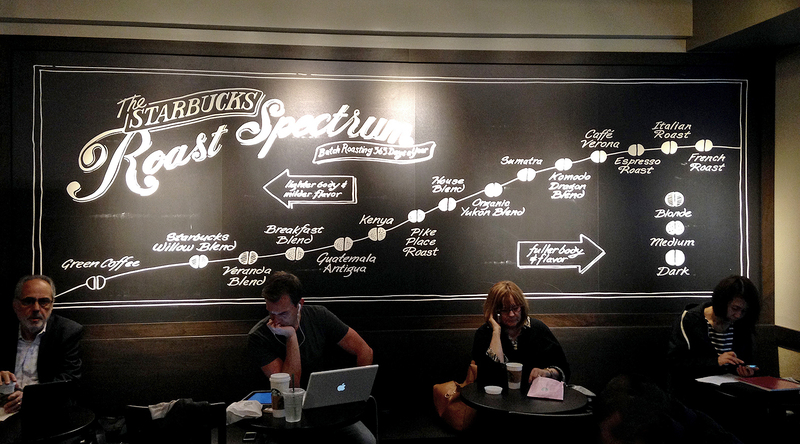 When confronted with all the varieties of coffees offered at Starbucks I was always confused (and unwilling to carry out any serious research on the topic) about which one is bolder or milder, and how they stand with respect each other. Not any more. This morning, our local branch solved all my doubts with… a wall chart! Thank you, Starbucks. This entry was posted in Graphics and tagged Charts, Found graphics by Samuel Velasco. Bookmark the permalink.